Welcome to the Dental Education Institute! If you have the desire, passion and drive to begin a new, exciting and rewarding career, The Dental Education Institute can help you! 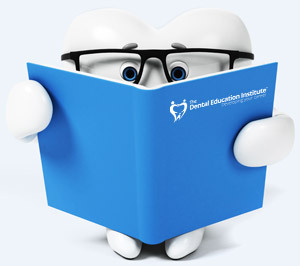 The Dental Education Institute offers an entry-level 10 week Dental Assisting Program. Students learn in a fully functioning dental office. Saturday classes allow students to continue their current job while training for a new career! Small class size allows for maximum student-teacher interaction, ensuring a complete understanding of skills and techniques. Beginning on day one, you will start to develop the specialized skills to excel in your new career as a Dental Assistant. Dental Assisting is a respected workforce with great hours, excellent benefits and competitive pay. Dental Assisting is one of the fastest growing occupations and is in very high demand today. There is a predicted growth rate of 25% between 2012 and 2022, according to the United States Department of Labor. Dental Assistants are a very important part of the dental team. There are endless possibilities in the field of Dental Assisting, from working as a chair side dental assistant to management positions. When you make the decision to begin your new career, we will be there to help you along the way! 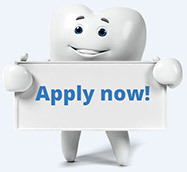 Your future as a dental assistant is only a few clicks away. Request information today! Our Entry-Level Dental Assisting Program is Licensed by the Commission for Independent Education (License #5108). Our EFDA and Radiology courses are approved by the Florida Board of Dentistry. ©2019 The Dental Education Institute | Clermont FL. All rights reserved. Web Design by John Van Horn.